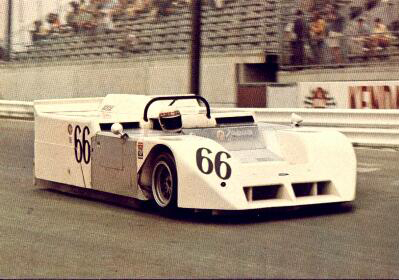 No, it's Chaparral 2J 'sucker-car'. 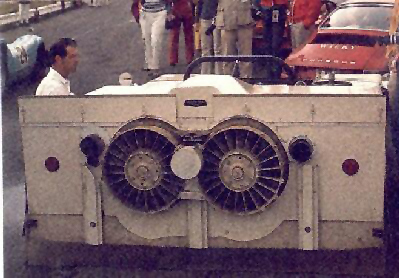 An experiment with (assisted) ground effects, it raced in 1970 Can Am, and was banned shortly after. This, along with even more experimental predecessor, Chapparal-Chevrolet V8 sportscar, have led to the develompent of the infamous Brabham-Alfa Romeo BT46B fancar. Reminds me of a rotary powered washing machine or something.